Painful teeth are often an indication of infection, which will spread if left unchecked. 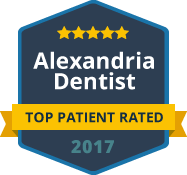 Alexandria, VA, patients can rely on Green Dental to provide suitable general dentistry treatments. If your teeth are infected, you may need root canal therapy to remove the infected pulp from the teeth. Root canal therapy is a safe and effective treatment for removing infection. Green Dental patients are always amazed how little pain results from root canal therapy. Myths surrounding root canal therapy have existed for decades, painting the treatment in a negative light. In fact, root canal therapy is one of the least painful dental treatments you will ever receive. The treatment is incredibly effective and recovery time is significantly shorter than with many other treatments. Although root canals primarily deal with removing infection from the teeth, they also offer pain relief. The pain from infected teeth can become excruciating, so it is important to contact Green Dental for treatment. We can provide you with root canal treatment at our Green Dental offices, and we may even have availability on the very same day. You will begin to feel relief from pain soon after your treatment is complete. When you arrive at Green Dental, your dentist will examine your teeth to determine if infected pulp is causing your pain. If root canal treatment is the right option for you, we can remove any infected pulp and seal up the tooth to prevent further infection from setting in. Green Dental can restore function to infected teeth, allowing our patients to eat and drink without pain. Contact Green Dental of Alexandria to arrange an appointment for root canal therapy. We can provide our Alexandria, VA, patients with emergency treatment for pain relief from infected teeth. We will always ensure you are relaxed and comfortable throughout your treatment.